Located right down some of the best runs of Norikura and Cortina resorts lies Kodama Mountain Lodge. We choose to be a ski-in / ski-out lodge because what matters the most when you come to Japan is the time spent out there in the deepest snow. There are also shuttles to go just five minutes away in touring paradise Tsugaike or further away to the big runs of Hakuba’s Happo One or Goryu. International ski and snowboard teachers with ISIA certification, we know all the secret spots and resorts and will be happy to give you advices or private lessons. The ski season is pretty long here, starting with the first big storms of early December, you’ll be sure to have fresh pow until end of February. Later on we get more days of sun and it’s time for more serious terrain and touring with the opening in March of the Tsugaike cable car and the heli base which allows for fast access to higher mountains. And it’s game on until the end of April!!! 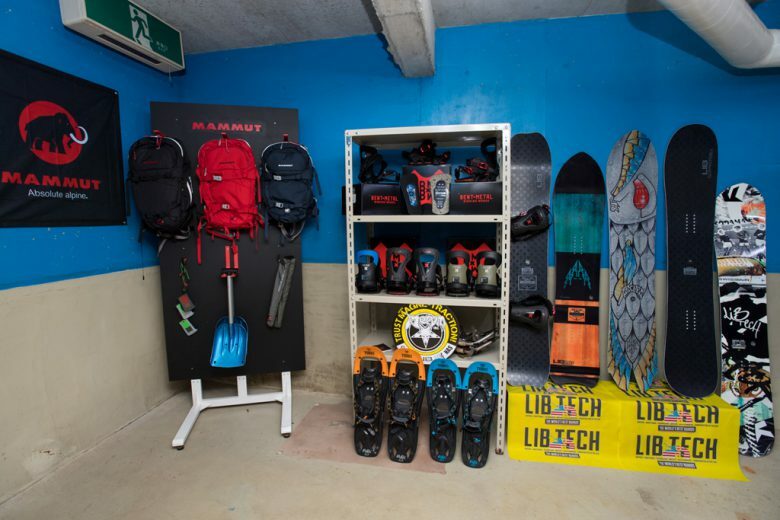 We will point you the best rental shops where you will find everything you could need from boots to helmets, a wide range of skis and snowboards, backcountry gear as well as ski pants and jackets. For those looking for more specific powder equipment, we will have a few powder boards, snow shoes and splitboards as well as some backcountry safety gear from Mammut to rent. Ski passes are between 3’500 and 5’000Yen. It’s also possible to buy just a one way ticket to the top so bring your snowshoes or skins to access higher terrain and save some coins for a beer. Back from a big day on the snow, just drop your board and wet gear in our drying room and let’s start the Après Ski.